A spring clean up is necessary to remove the debris from the winter months that falls from trees and enters your lawn via the wind! As Mother Nature goes from season to season it is important to give your lawn every chance to beat the heat of the up coming summer months here in Kentuckiana. This may include removal of old mulch, installation of new mulch. A high quality mulch will be delivered and installed in your landscape beds. Several different mulches and rock are available based on your needs to help accent your current landscape beds. Keep your lawn looking great with weekly mowing (featuring high profile striping). In conjunction with each mowing, trimming is performed around all buildings, structures and other obstacles within the lawn. 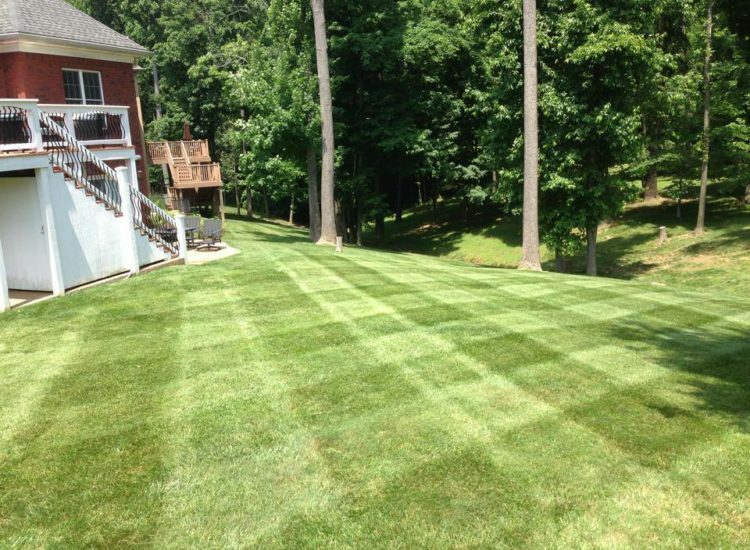 CK Lawn & Landscaping, LLC offer lawn care and landscape services in Southern Indiana including: Floyds Knobs, Georgetown, Greenville and surrounding communities. Lawn mowing is one of the most crucial parts of lawn care in our area. It is what is done more often than any other lawn service. Properly mowed lawns will have fewer weeds, better moisture stress tolerance and will have an overall healthier look than lawns that are not properly mowed. CK Lawn & Landscaping, LLC provides unsurpassed curb appeal to commercial and residential properties alike. As a fully insured lawn care and landscape provider, we combine superior value and service to our customers in Southern Indiana.